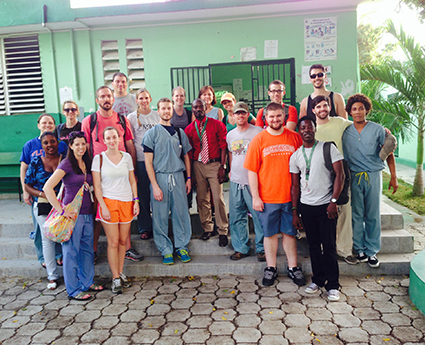 Several residents and faculty members participated in a medical mission trip known as Project SHOUT (Surgical Humanitarian Outreach from UT) to Arcahaie, Haiti, where they donated medical supplies and completed several medical procedures including hernia repairs, lipoma removal, and delivery of babies. Anesthesiology Resident David Dahl, MD, a founding member of Humanitarian Health International (HHI), the trip's sponsoring organization in partnership with One Vision International, led the team of medical staff from specialties including Surgery, Obstetrics and Gynecology, Pharmacy, Nursing and more. 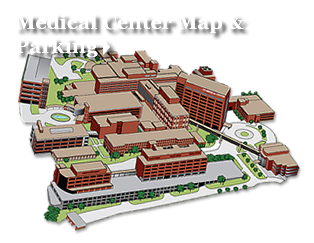 UT Graduate School of Medicine physicians also included faculty Patrick McConville, MD, Reagan Bollig, MD, and Audrey Barry, MD, and residents Meredith Fields, MD, Ron Benton Pitkanen, MD, and Christopher Schrock, MD. HHI was established in 2012 to provide life-changing surgical care to underserved areas of the world. While the primary goal of HHI is to provide simple surgeries with a high life impact and relatively brief recovery time, staff also strive to share education and donated medical equipment with host communities. Project SHOUT is part of the research by Dr. Dahl and Dr. McConville investigating benefits realized by a hospital that sponsors international outreach. Learn more about HHI and Project SHOUT on the HHI Facebook page or HumanitarianHealth.org.